The Tennessee thirty (30) day notice to cure or vacate is the notice used to inform a tenant of their noncompliance with the lease agreement. If the tenant does not cure the violation(s) or move out of the rental unit by the end of the 30th day of the notice period, the landlord has the right to file an eviction lawsuit in court. 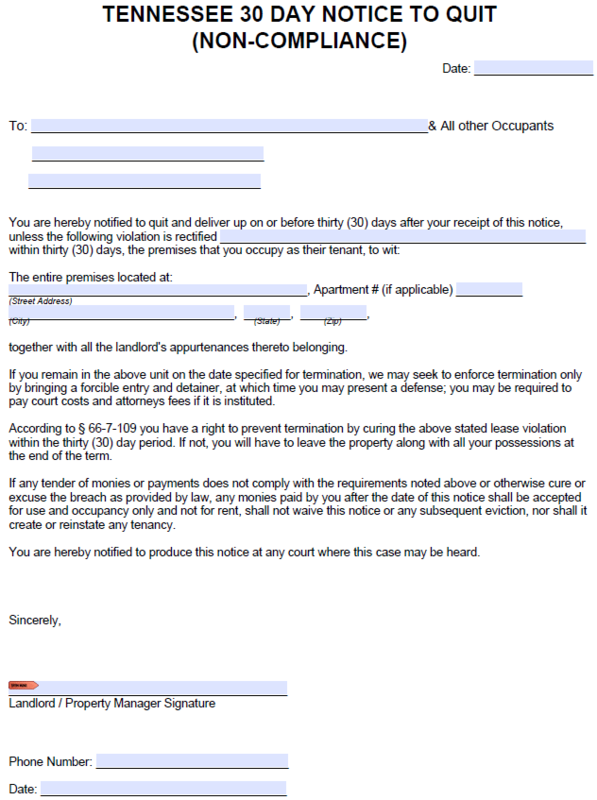 Note: If the tenant has committed the same violation(s) within the past six (6) months, the landlord can serve them a fourteen (14)-day notice to quit.